When Ford announced its plan to introduce the Mustang into the local marketplace, even the company’s own executives were unsure whether Australians would warm to this all-American fastback muscle car in any significant numbers. But with the 'Stang collating 2000 orders and a 12-month waiting list before the first car arrived in a dealership, it seems they needn’t have worried. 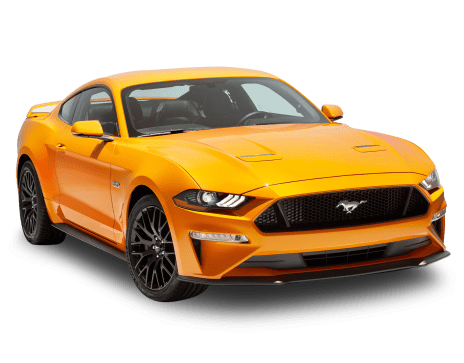 Available at launch with a big V8 in the $74,709 Mustang GT 5.0 V8, but also with a fuel-focussed four-cylinder engine in the $49,990 Mustang Fastback 2.3 GTDI, the Mustang is a two door, four seat icon, available with a hard top or a convertible roof. It’s available with an automatic or manual gearbox. This vehicle is also known as Ford Mustang GT.